The number of people seeking abortion services in Irish hospitals once they are introduced is "not going to be huge," according to the clinical adviser to the HSE's National Women and Infants Programme. 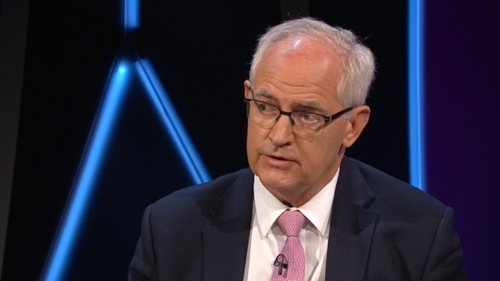 Speaking on RTÉ's Today with Sean O'Rourke, Dr Peter Boylan said he understood medical colleagues had "genuine concerns" about the introduction of such services, but said he felt "they are more around the area of change". In an article in today's Irish Times, the former master of the Coombe Women and Infants University Hospital, Professor Chris Fitzpatrick, criticised the Government for attempting to meet a "dangerously unrealistic deadline" to introduce abortion services. The Regulation of Termination of Pregnancy Bill, which will allow for the introduction of abortion services, passed all stages in the Dáil earlier this week. Minister for Health Simon Harris described its passage as a significant step forward in preparing for the introduction of termination of pregnancy services at the beginning of January. Members of the Institute of Obstetricians and Gynaecologists have called for an EGM to debate a motion that the implementation of the legislation "cannot" commence next month. Dr Boylan said any delay to the introduction of the service would see women continuing to have to travel to the UK for terminations, adding that "we heard, time and again, of those very tragic and upsetting stories". Speaking on the same programme, former master of the Rotunda Professor Sam Coulter-Smith said there were "serious impact issues" for maternity hospitals. "We're asking for this service to be provided in a hospital setting by obstetricians, gynaecologists, nurses, and midwives who are all currently fully occupied," he said. Prof Coulter-Smith said many people were struggling with how the extra demands would affect maternity services. "What we'd all love to see is a quality service brought in, and for it to be done in an appropriate way with all of the resources, facilities and staffing," he added. However, Dr Boylan said that when the number of people seeking abortion services is spread across the country, and across the year, it boiled down to relatively few cases that will need to be treated surgically. Dr Boylan also said that many of the cases will be dealt with in the community, in the earlier stages of pregnancy, and as such would not impact upon maternity hospital services. He added that surgical terminations involve the same procedures that women have for the surgical treatment of a miscarriage. With regard to conscientious objections, Dr Boylan said that while people can have a conscientious objection to carrying out the actual procedure, those involved in bringing a patient to an operating theatre, for example, cannot have a conscientious objection. The former master of The National Maternity Hospital, Holles Street, also said that guidelines were being communicated to medical professionals "through the colleges for those who wish to engage". He said the guidelines were "nearly complete" and were "not particularly complicated".